There were loads of entries into the Dark Minions competition and I am pleased to announce that the winner is Chris Tucker. The copy of Z-Man’s Dark Minions is on its way to him. Thanks to everyone who entered. 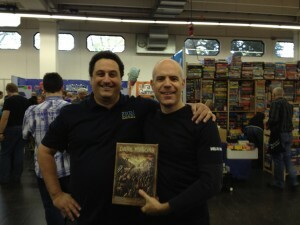 Also, thanks to Zev at Z-Man Games who provided the copy of the game for the competition. 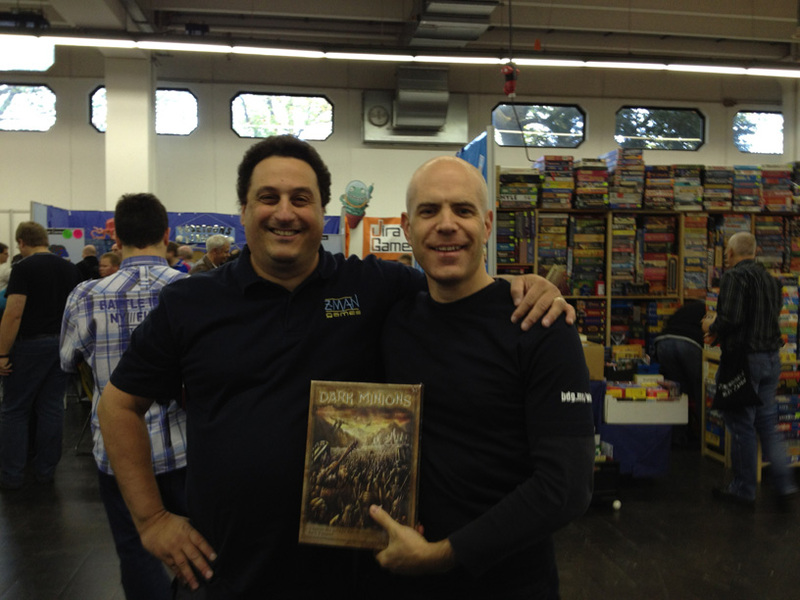 The photo shows me and Zev when he gave the prize copy of the game to me at Spiel early on Thursday morning. A review of the game will be posted soon and you can read my preview of Dark Minions for details in the meantime. 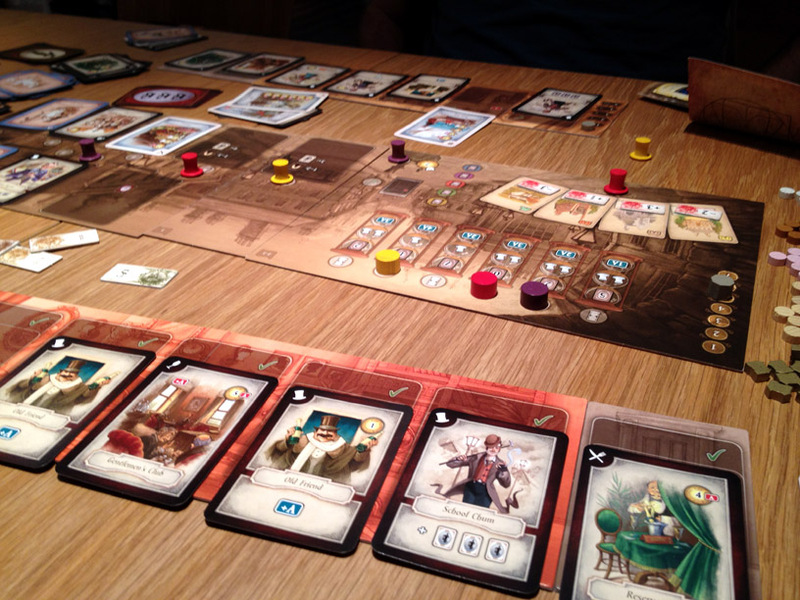 This year, I’m going to cover Spiel in Essen a bit differently than previously. 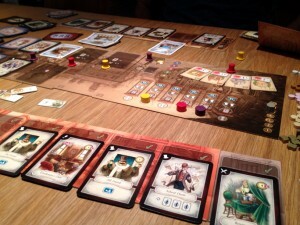 Rather than try to explain a game (even just my most basic thoughts) in 140 characters via Twitter, which is tricky and can easily not do a game justice, I shall be posting photos of the games I play on Twitter as well. I shall post the photos to this blog too – hopefully once per day. Theoretically I could post photos to both Twitter and my blog from my iPhone but the data costs in Europe are very high so I’ll use Twitter as the live feed and post the day’s photos on the blog later. 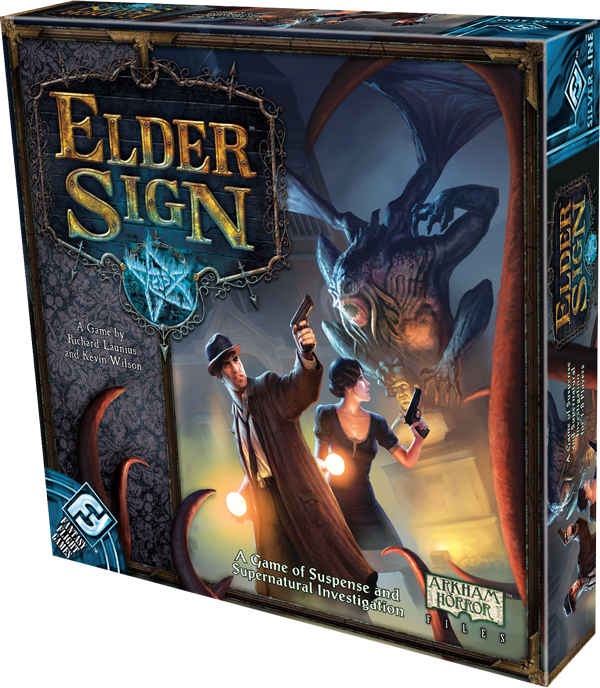 Elder Sign is a game set in the Arkham Horror (H. P. Lovecraft) setting by Fantasy Flight Games. 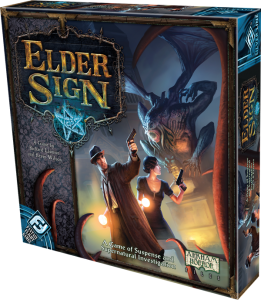 This time it’s a co-operative dice game where players are investigators inside a museum trying to find enough elder signs to ensure the Great Old One doesn’t enter this world, or (and much more unlikely) to defeat it if it does awaken.